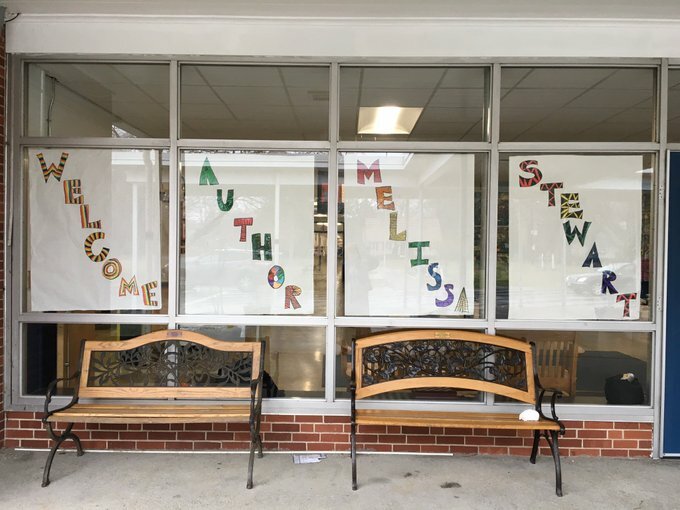 What’s the secret of a great author visit? Preparation. Of course, I need to be prepared. But so does the school community. If students have read my books and are looking forward to meeting me, the day always goes better. The best visits of all happen when students have done meaningful projects related to the books and ideas I’ll be discussing. 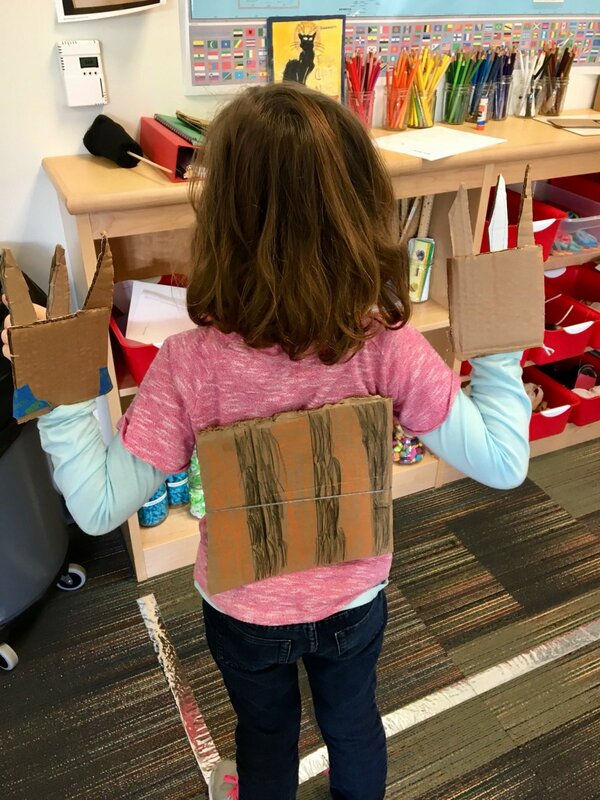 Here are some great examples of project-based learning that students did in the days and weeks leading up to my visit at Pownal Elementary School in Pownal, Maine. 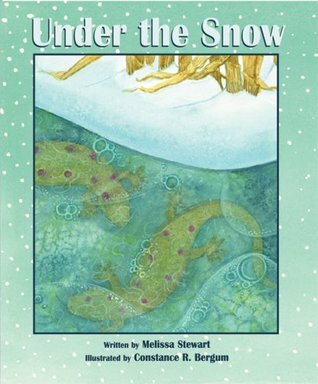 One classroom read Under the Snow and then created four lovely murals that show how animals discussed in the book survive in their winter environments. Fantastic! In another classroom, students were learning to identify the main idea and supporting details in a text. After students spotted the main idea of Pipsqueaks, Slowpokes, and Stinkers: Celebrating Animal Underdogs, their teacher wrote it on a piece of paper and hung it on the wall. Then students used words and pictures to highlight supporting details. After reading No Monkeys, No Chocolate, Grade 3 students suggested creating a bulletin board showing plant and animal relationships in the cocoa tree’s rain forest home. I especially love this detail, which comes equipped with a magnifying glass (on the far right). What a great idea! Students in grade 5 practiced the readers theater script I wrote to accompany No Monkeys, No Chocolate and performed it for me just before I presented to them. They did an amazing job! Thanks to these projects, students had some skin in the game. They had a deep understanding of the books before I even walked in the door. And not surprisingly, the day was a tremendous success. 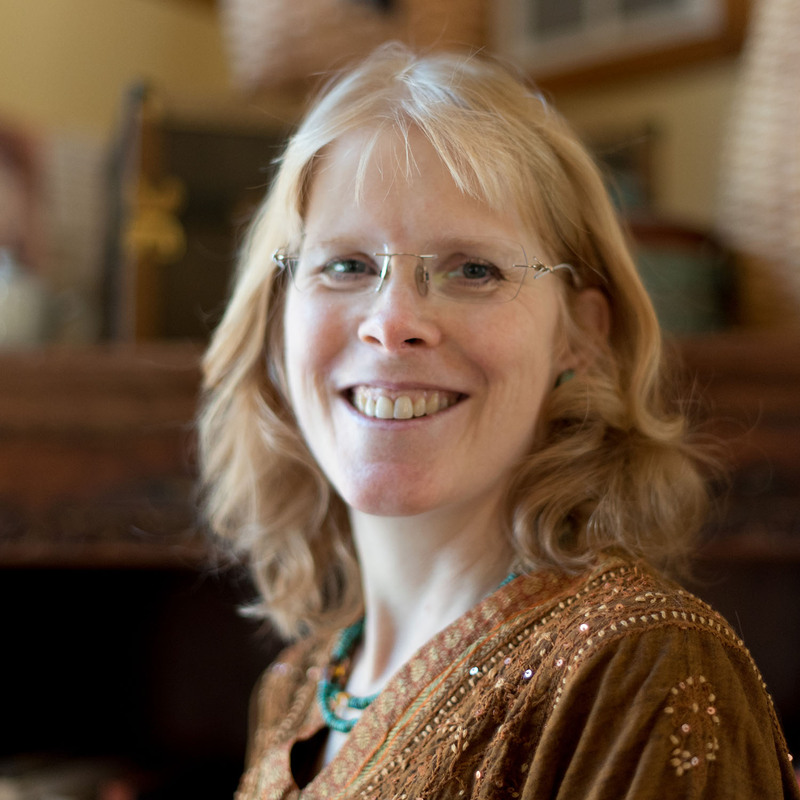 Today we continue the Nonfiction Authors Dig Deep series with an essay by author Lita Judge. Thank you, Lita. As an author and illustrator of both fiction and nonfiction picture books, I’m often startled when someone asks if my fictional books are harder to create and if I turn to nonfiction projects, in between, as a form of rest. 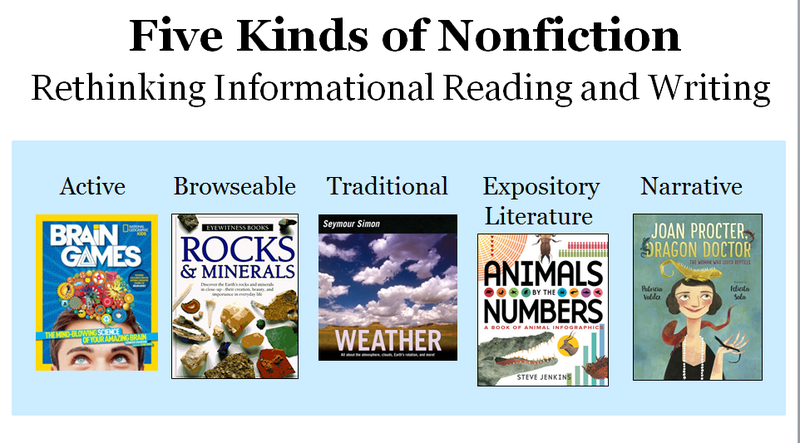 I think this misconception comes from the notion that writing nonfiction picture books entails lightly researching a topic in the library until one can come up with a list of facts that make their way into a book. Many of us were taught to write nonfiction that way in middle school, but that’s not at all how nonfiction writers actually tackle their work. The truth is that my fiction books are often flights of my imagination, but all of my nonfiction books grow from an exploration of deep and lifelong passions. These books are a reflection of who I am. And the research I do to write them goes far beyond the boundaries of a library. It involves time spent in the field, hours of observation, exchanges with scientists, and drawing from nature. 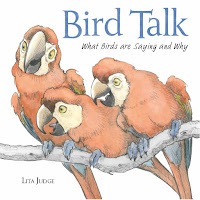 For example, my book, Bird Talk, explores the ways birds communicate and why. This book was inspired by my grandmother, an ornithologist who worked for fifteen years to successfully breed a golden eagle in captivity. In the predawn hours of a wintery spring, I listened to the piercing call of a golden eagle beckoning my grandmother to her pen. My grandmother would grab sticks to bring as an offering for the bird to begin building a nest. 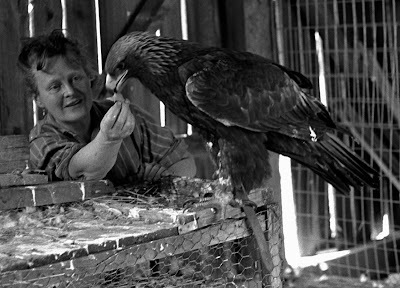 Later, when eggs were laid, my grandmother and the eagle shared the work of incubating. 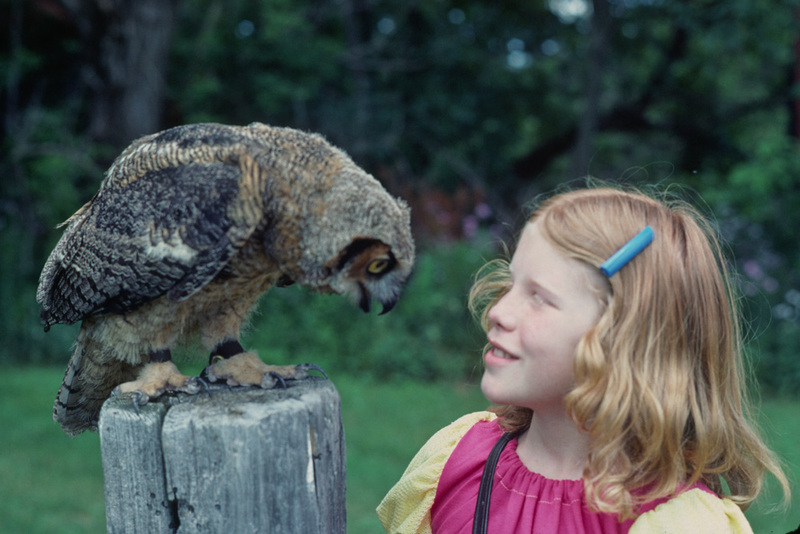 I also worked with my grandparents on the marsh, banding owls and hawks, learning to differentiate the calls between mates locating one another from those that warned of danger or responses to hungry chicks. 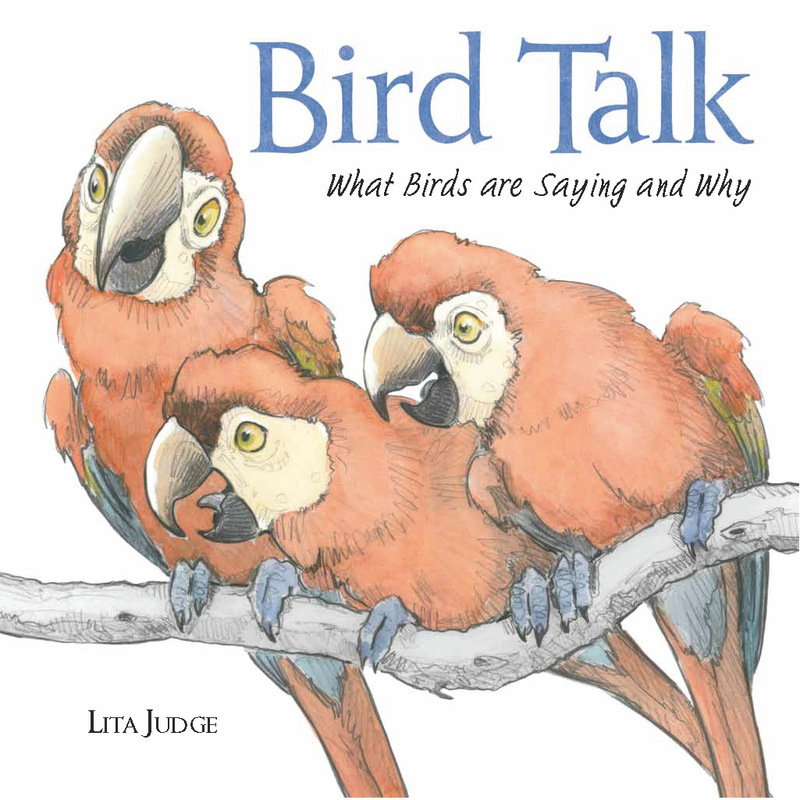 Bird Talk grew from many experiences gained by research in the field. I’ve also written about dinosaurs. Like so many others kids, I had a love for dinosaurs. 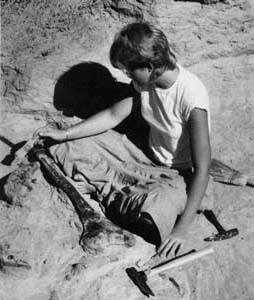 When I was fourteen, I was convinced I wanted to be a paleontologist. In hopes of pursuing this goal, I wrote dozens of letters to museums begging to volunteer on a dinosaur dig. After many rejections, at last, Phil Currie from the Tyrrell Museum of Paleontology in Alberta, Canada, agreed to let me work on a dig. I ended up working there for several summers and got a degree in geology, but eventually found that I really wanted to write and illustrate books about dinosaurs, more than work as a paleontologist. 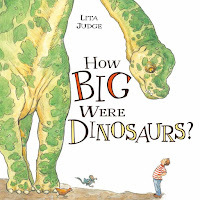 So I turned to writing books, such as How Big Were Dinosaurs?, which answers many of the childhood questions I had about dinosaurs. 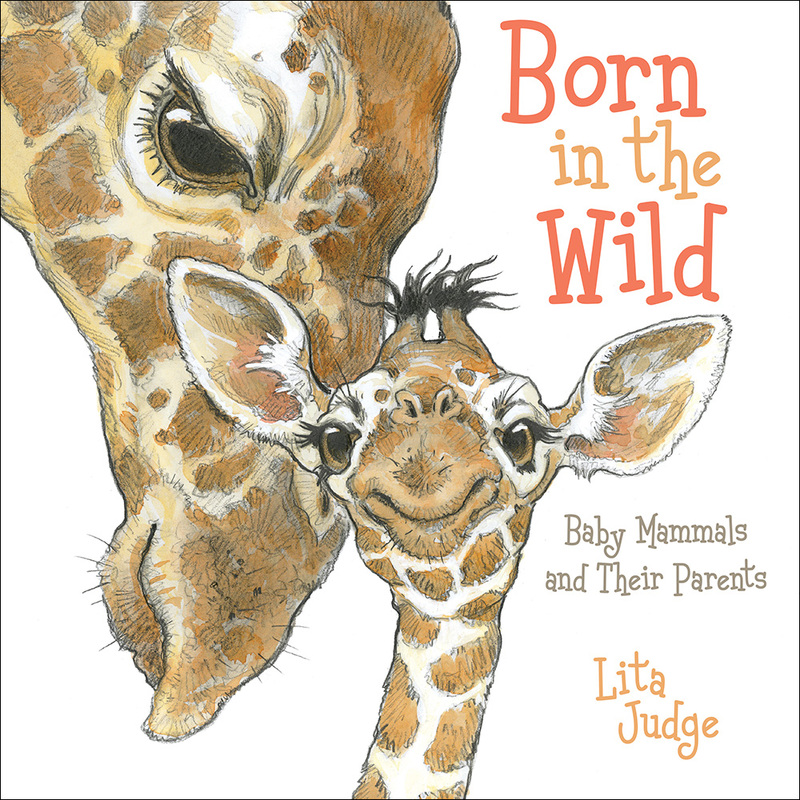 Sometimes, I feel people assume writing nonfiction picture books like Born in the Wild is simple because of its short text. 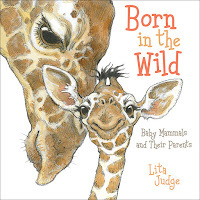 But it takes a breadth of knowledge to take complex ideas like animal behavior and shape them into understandable concepts for young readers. 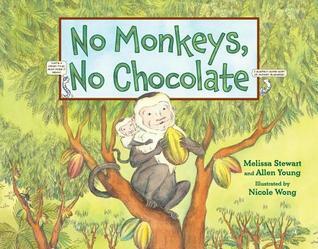 I create picture books because so much of the knowledge I acquire working in the field is visual. Watching animals gives me an awareness of intimate gestures and body language. I could never do these topics justice if my knowledge of them stemmed only from sampling books on the topic. And the time I spend observing animals results in a desire to draw and record my knowledge as illustrations rather than solely writing about them. That’s why I love the genre of picture books. Occasionally my nonfiction work involves writing a biography. My book, Mary’s Monster, is a YA illustrated novel in verse about Mary Shelley. But the experience of writing it was not that dissimilar to my other work. I didn’t set out to write a book about Mary Shelley because she was a remarkable teenager who created the most iconic monster of all time. I wrote about her because I had been going through some really tough experiences. To find a way out of my darkness, I needed to immerse myself in examples of strength and courage. After reading Frankenstein, I knew Mary Shelley must have survived some pretty intense and painful experiences. I kept asking myself, how did she do it? I sought out her journals and in them, found the strength I needed. Living within the darkness of her writing became a way through my own. My choice to write about her was no report. It was a rhapsody resulting from the passionate journey of finding my own way back to creating through exploring hers. It could only have been written after deeply inhabiting her life and emotions. That, in essence, is what nonfiction writing is for me. Inhabiting a topic until it becomes a part of me. 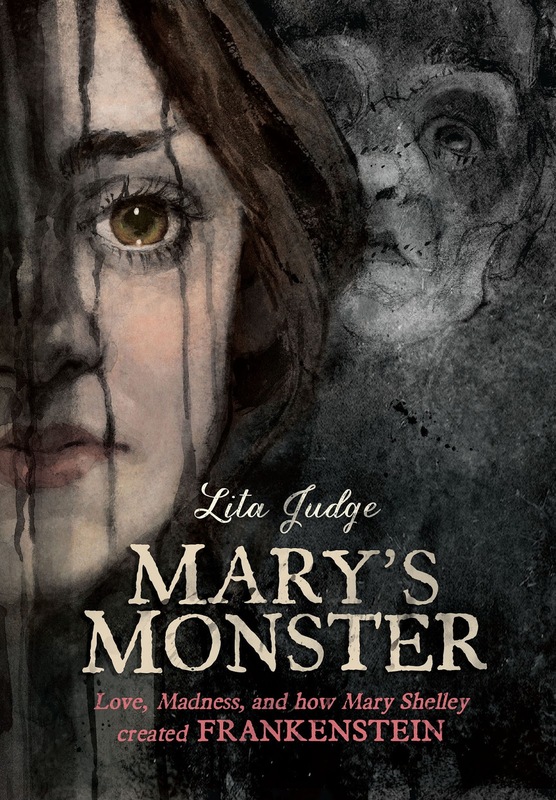 Lita Judge is the author/illustrator of twenty-five fiction and nonfiction books, including Mary’s Monster, a YA novel about Mary Shelley and the creation of Frankenstein. Her picture books include Flight School, Born in the Wild, Red Sled, Hoot and Peep, and One Thousand Tracings. 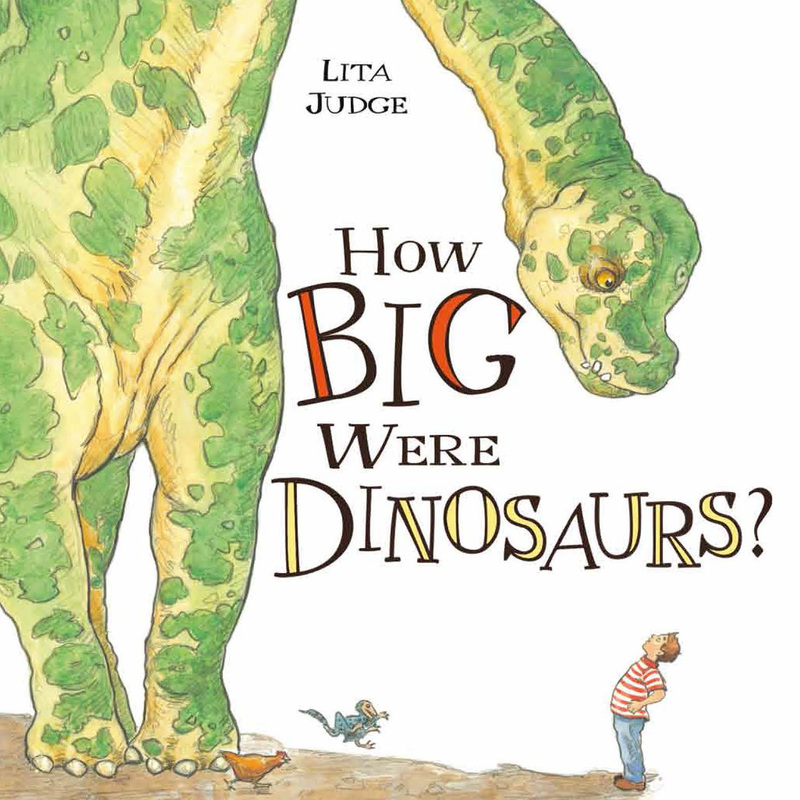 Lita worked as a geologist and paleontologist before turning to a life of creating art. 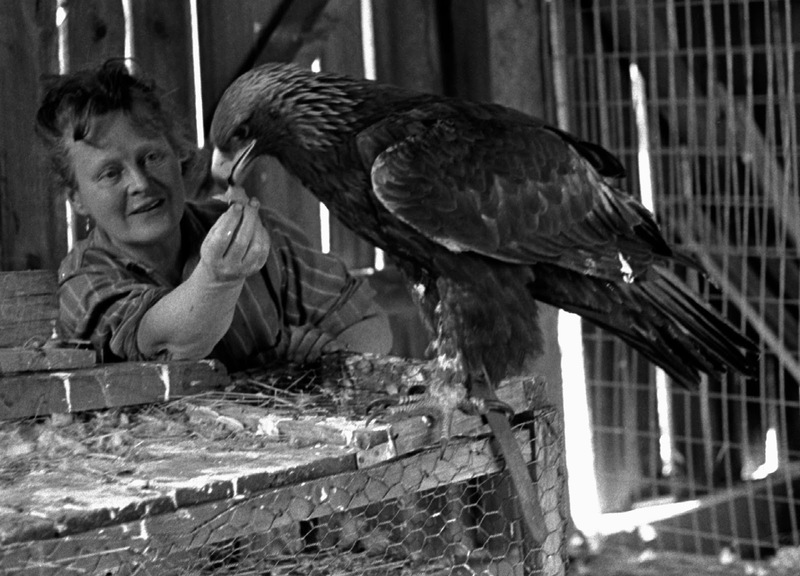 A childhood spent with eagles, owls, and other animals also inspires her work. When not painting or writing, Lita loves riding her electric bike to far off places, or backpacking through Europe with sketchbook in hand. She lives in Peterborough, NH. 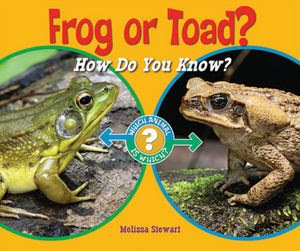 Everyone knows that books about how plants grow and how animals use their unique body features and behaviors to survive can enrich science lessons, but they can also be used lots of other ways. Today, I’m in St. Louis at the National Science Teachers Association’s annual conference, participating in an amazing event that was the brainchild of science educator Carrie Launius. Thanks to months of hard work, Carrie and her team have put together the largest gathering of children’s science writers that I’ve ever seen. 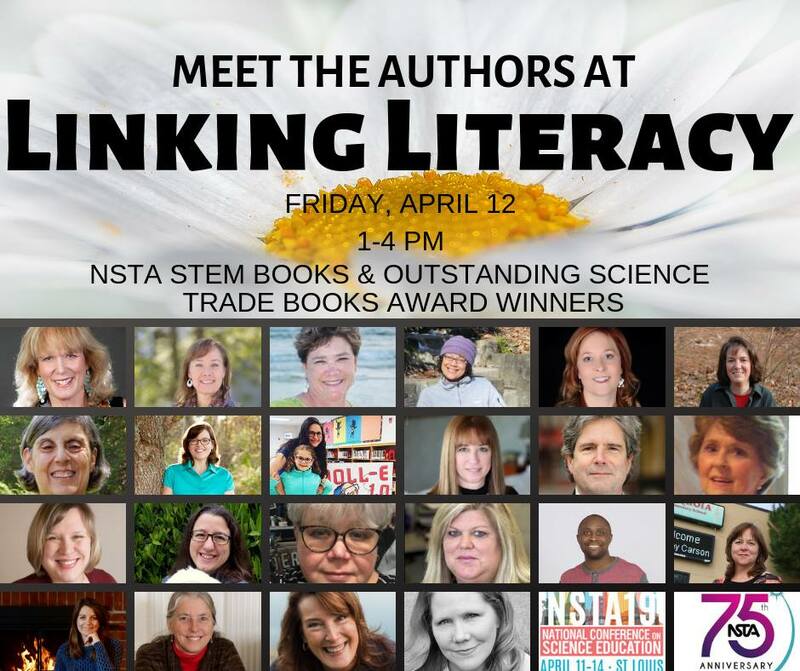 Linking Literacy is an incredible opportunity for 30+ authors to share ideas with science educators from all over the country. 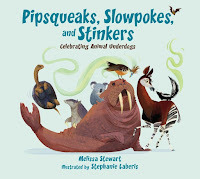 Here are some of the Cross Curricular Connections I’ll be sharing for my recently published books A Seed Is the Start and Pipsqueaks, Slowpokes, and Stinkers: Celebrating Animal Underdogs. 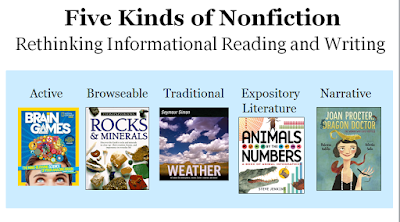 The Nonfiction Smackdown!, developed by Waltham, Massachusetts, school librarian Judi Paradis, involves reading two nonfiction books on the same topic. The books can be two narrative titles, two expository titles, or one of each. Students evaluate and compare the titles and record their thinking on the Nonfiction Smackdown! Worksheet. The worksheets can be hung around the room or placed in a folder, so that classmates can use the information to help them select books. During dispersal, seeds can fly, spin, or glide. They can also hop, creep, or shoot through the air at incredible speeds. In this activity, students crinkle up a piece of paper and pretend it’s a seed. Then they model all the different ways seeds can move away from their parent plant. A seed’s external structures may provide hints about how it disperses. This engaging activity (Kids love using a hand lens!) 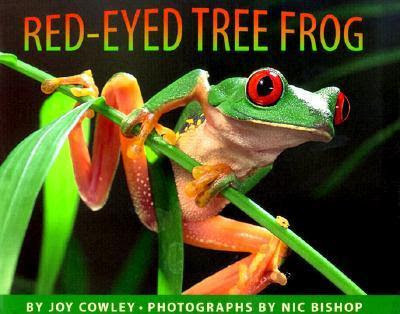 encourages students to look closely, record their observations with words and pictures, and make predictions. This activity encourages students to develop a deep understanding of seed dispersal and then think outside the box as they design a machine that mimics the seed’s actions. 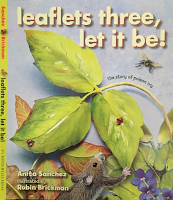 You can find more activity ideas in the Educator’s Guide and Readers Theater Script that go with this book. Geography and Math Activities: Maps & Stats PosterBecause Pipsqueaks, Slowpokes, and Stinkers: Celebrating Animal Underdogs includes some little-known animals from all over the world (okapi, zorilla, hoatzin, naked mole rat), my editor and I thought it would be useful to create a visual that highlights where they live and provides some key stats, such as size, weight, habitat. This poster can be used to discuss the relationship between geography and climate. Students can also compare the animals in various ways and make bar graphs highlighting their differences. Option A: Invite children to draw a picture of the animal they think should get the Coolest Characteristic Award and then write a few sentences explaining why. 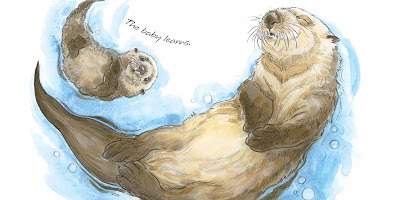 Option B: Encourage students to draw a picture of the animal that surprises them the most or that they like or connect with the most, and then write a few sentences explaining why. The students at Pownal Elementary School in Pownal, Maine, introduced me to this activity idea. After working as a class to identify the book’s main idea, their teacher wrote it on a piece of paper and hung it on the wall. Then each student used words and pictures to highlight one of the book’s supporting details. Encourage students to imagine how other creatures, such as a Galapagos tortoise, survive in the world. What would it be like to have claws instead of fingers and a heavy shell on your back? To find out, invite students to create physical models of animals’ key body features and move through the classroom as that animal would. My website includes a half dozen video mini-lessons for teaching the craft of nonfiction writing. 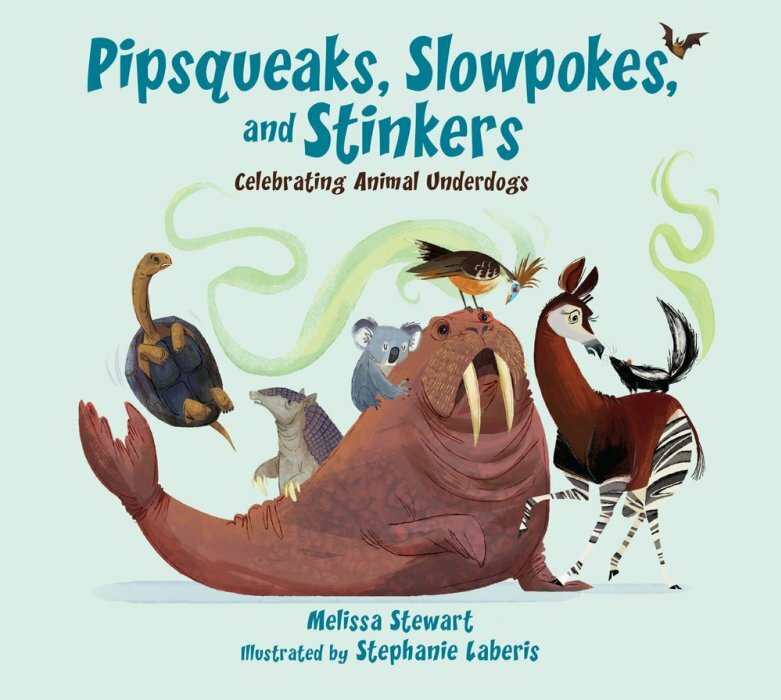 The newest draws on examples from Pipsqueaks, Slowpokes, and Stinkers: Celebrating Animal Underdogs and Seashells: More than a Home to show simple ways students can use word choice and punctuation to craft a strong voice, be it lively or lyrical, that matches their approach to a topic. 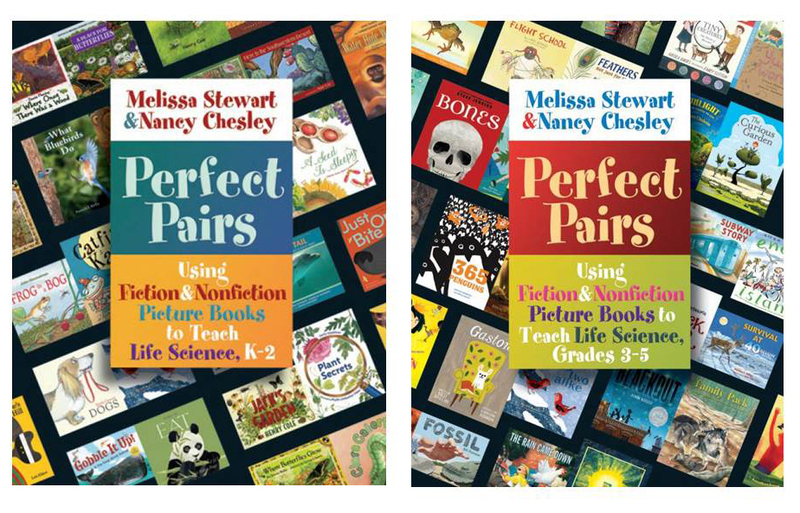 And for even more engaging ideas for integrating science, reading, and writing, check out Perfect Pairs: Using Fiction & Nonfiction to Teach Life Science. There’s one book with 20+ lessons for K-2 and another book with 20+ lessons for grades 3-5. This post originally appeared on Darcy Pattison's blog. I'm reposting it here because it's perfect for the audience I'm presenting to over the next few days--attendees of the National Science Teacher's Association conference in St. Louis, MO. I'm thrilled that NSTA is offering an exciting new event this year. 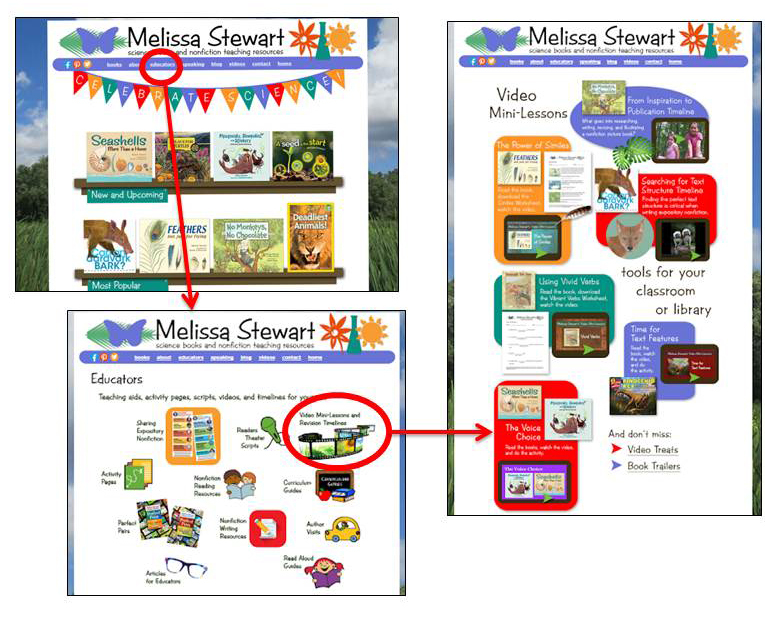 Linking Literacy features 30+ science writers who focus on creating books for children. Thank you, Carrie Launius, for organizing this ground-breaking opportunity for science writers and science teachers to learn from one another. Today we continue the Nonfiction Authors Dig Deep series with an essay by author Anita Sanchez. Thank you, Anita. I sit at my desk, fidgeting and fuming. This is intolerable. I mean, I know my rights. I gaze out the window at green fields edged with trees. The sun glows in a cloudless June sky. I can hardly sit still. They have NO RIGHT to keep me indoors on such a beautiful day. After all, third graders have rights too. So when the next day dawns even more alluring, I decide to take the law into my own hands. I’m just not going to school. In those long-ago days, I walked to school, and on that bright spring morning, I decided to head for the woods instead of the classroom. I’ll just take the day off. No one will notice. Unfortunately, my bid for freedom was brief and ended, predictably, in the principal’s office. My impassioned plea that it was too sunny to learn fractions was for some reason ignored. I’ve never forgotten being that kid gazing out the window. And to this day, everything I write comes from that long-ago memory of longing to go outside. Sadly, most kids these days spend very little time outside. And what time they do spend outdoors is usually on the mowed lawns of athletic fields. Kids don’t wander in the woods or climb trees or hunt for tadpoles or just mess around in nature. To many children, the outdoors is a scary place—caterpillars might be poisonous, and spiders could bite. There’s even poison ivy out there. So I set out to write books that will help kids confront their fears of the unknown. My books are set, not in a rain forest or outer space, but close to home, to create possibilities for outdoor exploration in every child’s backyard or local park. I try to encourage close-up, hands-on, get-dirty experiences. It’s okay, I want to say to all those anxious kids standing on the blacktop. The spider won’t hurt you. This is what poison ivy looks like. It’s okay. My book Leaflets Three. Let It Be: The Story of Poison Ivy highlights all the good things about, yes, poison ivy. (Did you know it’s an important survival food for cardinals and bluebirds?) And it teaches kids how to identify the plant so that they can safely avoid it. 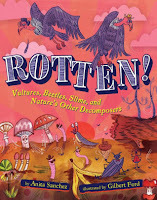 My most recent book, Rotten! 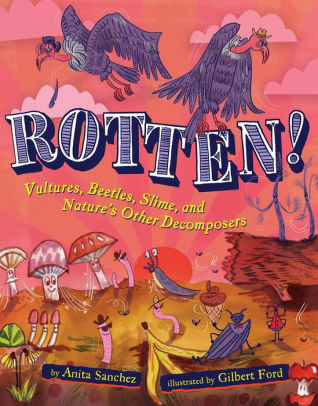 Vultures, Beetles, and Slime: Nature’s Decomposers, focuses on stuff kids think of as disgusting or scary: fungus, tarantulas, and one of my personal favorites—slugs. At the heart of every chapter is that younger version of myself, lingering on the walk home from school to capture grasshoppers and marvel at all the amazing critters thriving under a log. 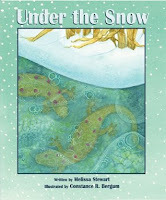 I hope to persuade readers to view even the icky side of nature with curiosity and excitement. Even the grossest creepy-crawler has a place in nature’s web and a fascination of its own. With each book I write, I try to create a road map to get kids out of the house and into the backyard, or the local park, or a nearby nature center. I want them to relax and think of nature as a place that’s safe, fun, and welcoming. My passion is to give young readers the knowledge to explore the outdoors safely, and the confidence to stray off the sidewalk. To look closer, ask questions, get muddy. I hope my readers will collect rocks, pick up worms, hunt for salamanders, look under rotting logs—and find an adventure that can last all their lives. 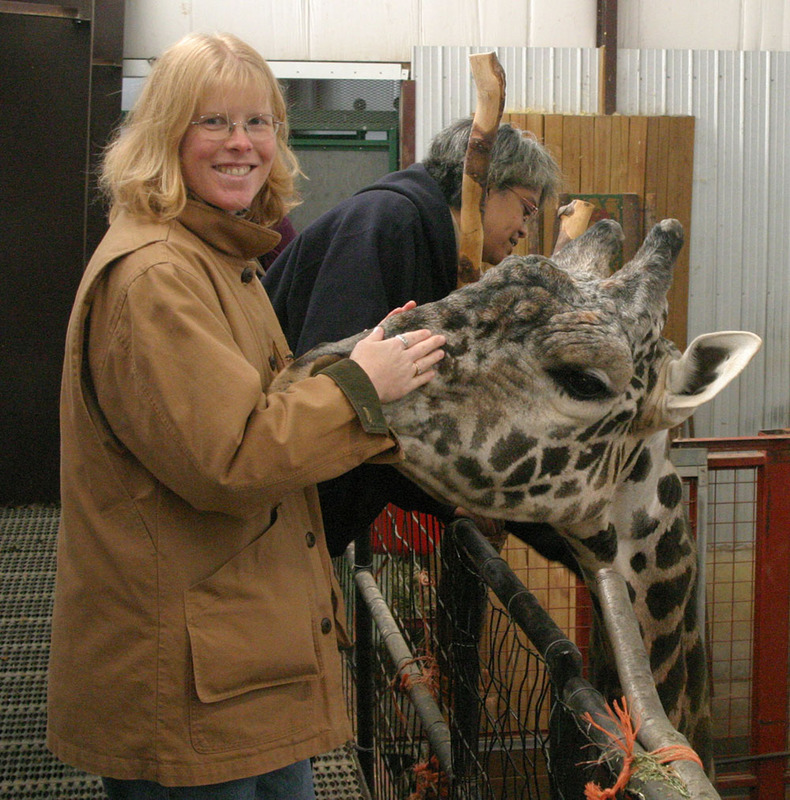 As a writer, Anita Sanchez is especially fascinated by plants and animals that no one loves. 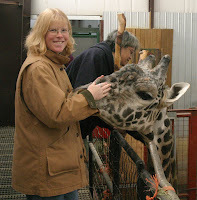 Her books are intended to get kids excited about the wonders of the natural world. 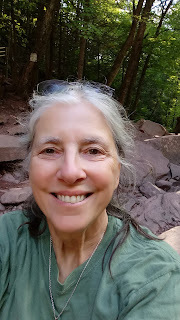 Anita worked as an environmental educator for the New York State Department of Environmental Conservation and developed curricula for environmental science programs serving thousands of students. 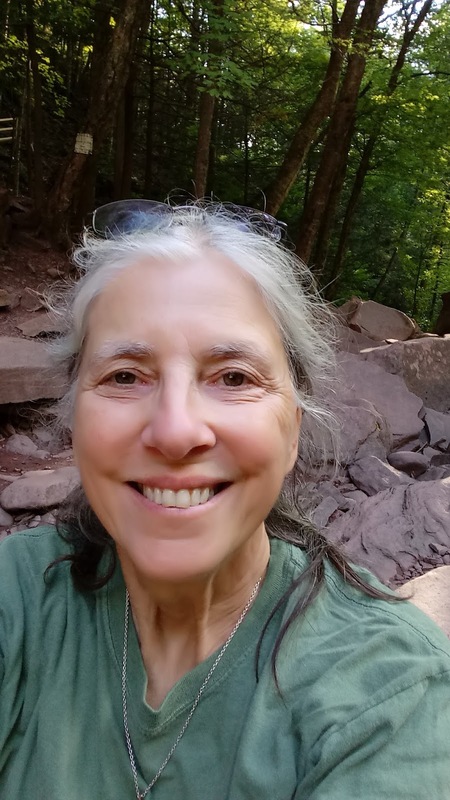 Many years of field work, leading children on nature walks, have given her firsthand experience in introducing students to the terrors and joys of nature. Repanskey, Lisa L., Jeanne Schumm, and Jacqueline Johnson. “First and Fourth Grade Boys’ and Girls’ Preferences for and Perceptions about Narrative and Expository Text.” Reading Psychology (2017. P. 1–40.